Web site designs play a key role when it comes to maintaining a strong presence on the internet and engaging and retaining visitors to convert them into loyal clients. People who visit your site notice small things about the web site design that includes use of colors, choice of themes, navigation styles and numerous other things that play a prominent role in making the web site unforgettable and bring visitors back for more. When designing a web site for your online business, it is necessary to consider what visitors think about it and how it can be made more attractive and appealing to keep the visitors involved. While it takes a lot of hard work and creativity to come up with the right website design that is interesting and eye-catching, it all pays off in the end when visitors like the web site and visit it frequently to do business with you. Here are some top web site design tips that will enable you to design your business web site keeping in mind what visitors as like and what encourages them visit your website frequently. Visitors like to know that they are doing business with a professional service provider. The design of the site should be simple yet represent a professional outlook that builds trust among the customers. The design should be good to look at and easy to use for people who are not internet or technology friendly so that they can also use the web site easily. 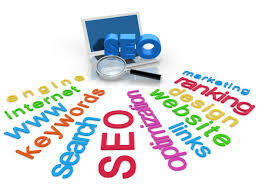 Make sure that the design complements the business so that the visitors can relate the web site to the products or services that are being offered. Bright and strong colors and clear and bold designs should be the preferred choice for business sites as they build trust and speak volumes about the credibility of the service provider. Images, graphics and animations make a website more interesting and enhance the interest of the visitors to check out what message is being conveyed. Use of creative and custom images and graphics can play a key role in keeping the visitors engaged. You can discuss the type and style of images, graphics and animation to be used in your web site design with the designer who is working on your project to come up with the best options to go with your brand. When working on the design, it is necessary to keep the readability aspect in mind which plays a very significant role in engaging and retaining visitors as it is a fundamental part of every web site and gives a professional look too. Along with aesthetics and good looks, readability is a very important element as it ensures that visitors can actually read what is written about your business, products and services. Accompanied by quality and relevant content, font size and style are also a necessary part of readability. These days a majority of people use smart phones that enable internet usage while on the go. Thus, when planning to develop a website, make sure it can work on mobile phones too so that visitors can also access your website through their smart phones. There are a number of affordable and reliable web site design companies in the market that understand your need for a professional and custom website to keep the visitors engaged and retained. Before actually starting to work on your project, it is necessary to consult a professional who understands the requirements of a creative and original web site and helps to come up with a design that not only looks great but also boosts your online business very effectively.